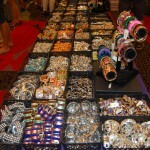 The Arcadia Guild will be hosting a $5.00 Masquerade Jewelry and Accessories sale in the lobby of the theater during the Miner’s Day Festival scheduled for – June 14, 15, 16, and June 17. Food and Drink Items will also be on sale. Cash & Credit/Debit Cards are accepted.